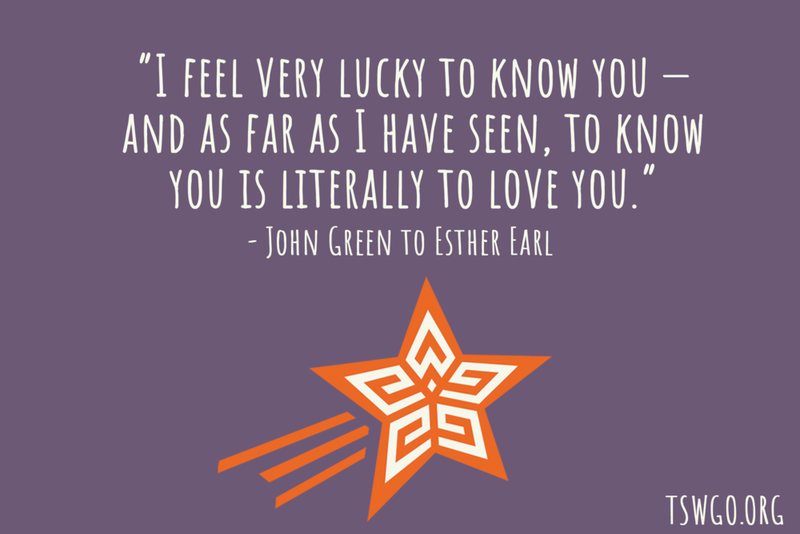 Esther Day isn't just for August! 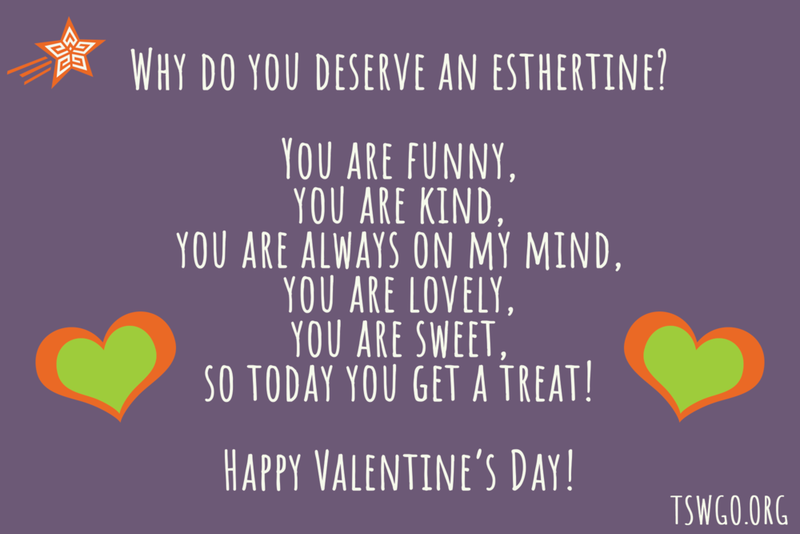 Send an Esthertine on Valentine’s Day to tell that person in your life that you love and appreciate them. You can also help kids with cancer at the same time with a donation to TSWGO. These Esthertines were designed by Joviana Carrillo, Emily Cole, Leandra Clifton & Krista. Please complete the form below to ensure that your Esthertine is sent to the correct place. Orders will be accepted from January 31st to February 9th to be guaranteed delivery by February 14th. We will still accept orders after February 9th but we cannot guarantee that they will arrive in time for Valentine's Day. Please note that this only applies to mail sent within the United States. International mail may take longer to arrive due to distance and/or customs. Examples: TSWGO and Me, TSWGO, just Me, anonymous, or I would like TSWGO to send me an Esthertine. If you would like your name on the Esthertine, please let us know what it is! A donation is not mandatory, but it is appreciated!